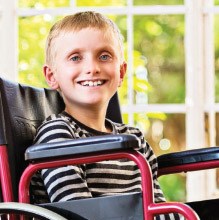 "(d)(4)(C)" or "pooled trusts" for beneficiaries with special needs. Such trusts pool the resources of many beneficiaries, and those resources are managed by a non-profit association. Unlike individual disability trusts, which may be created only for those under age 65, pooled trusts may be for beneficiaries of any age and may be created by the beneficiary herself. In addition, at the beneficiary's death the state does not have to be repaid for its Medicaid expenses on her behalf as long as the funds are retained in the trust for the benefit of other disabled beneficiaries. (At least, that's what the federal law says; some states require reimbursement under all circumstances.) Although a pooled trust is an option for an individual over age 65 who is receiving Medicaid or SSI, those over age 65 who make transfers to the trust may incur a transfer penalty, depending on their state of residence. Following is a listing of pooled trusts around the nation. This list will be supplemented as we learn of additional pooled trusts.